Considering making the switch to LED lighting within your home? Here are a few things to consider along with the benefits of going LED. 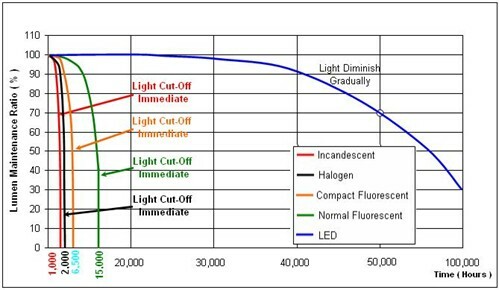 A huge benefit to LED is their longevity. Operational life time expected of these bulbs ranges from 40,000 to 60,000 hours (that’s around 6 years of continuous light!) compared to 700 to 2,500 for incandescent. Another example would be, let’s say you left a LED light fixture on for only 8 hours a day, that bulb would last about 17 years. Something else to keep in mind is efficiency. Incandescent bulbs operate at around 20% efficiency with 80% of the electricity being lost to heat while LED is just the opposite consuming up to 90% less power while emitting very little heat. Thus being great options for large commercial spaces such as sports facilities and airports. Along with longevity and efficiency, they are also eco-friendly. LED bulbs are free of toxic chemicals (such as mercury) and are also 100% recyclable. For example, a 13W LED light emits 68% less CO2 than a standard 40W incandescent bulb running 10 hours per day. Plus, one LED bulb can save material and production of 25 incandescent light bulbs! 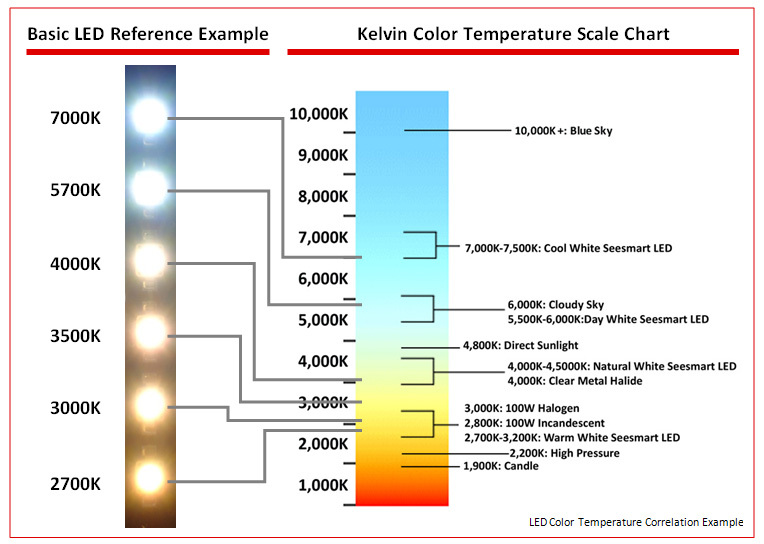 Another beneficial aspect would be the several color temperature options available, from 2,700 degrees Kelvin (warm white) to 7,000 degrees Kelvin (cool white). Warm white closely representing the light given off by incandescent bulbs (fitting for ambient lighting) and cool white comparing to day light (optimal for commercial settings). Thinking of mixing it up? LEDs can be blended together to produce millions of color options. LEDs are built with sturdy components (a tiny chip encapsulated in an epoxy resin enclosure) and are extremely durable which makes them ideal for rough conditions and exposure to elements such as wind, rain, and snow. They are also resistant to shock and vibrations. Switching to LED would be a great investment in the long run with longer life expectancies, being extremely efficient on power usage, and very safe on the environment. Plus, they’re available in millions of color options, that’s difficult to pass up! Imagine rising early as the sun peeks up over the horizon. The whole house sleeps as you tiptoe out of your bedroom, on your way to start your day with your fitness or yoga routine. Now imagine you need only walk a few steps to be in your studio. You’ve just added tenfold to the tranquility factor by not having to get in your car and drive. This growing trend of home fitness rooms goes above and beyond the treadmill parked in the spare room. When you consider how much time we commit to fitness regimens, its not surprising people are choosing home additions to customize their “gym” specifically for their own needs. 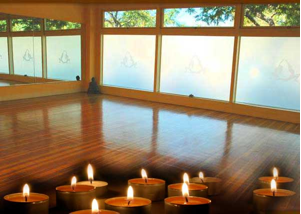 This path to enlightenment and a lighter you, can be both incredibly timesaving, and in the long run, more cost-efficient than a yearly gym or yoga studio membership. The possibilities are endless, and can be customized to fit most budgets. 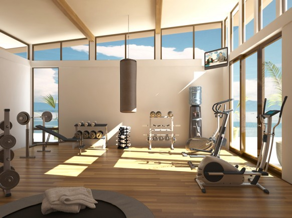 Good lighting design can mean the difference between a vibrant, energizing home gym and a dull, drab one. Natural lighting is ideal for a home gym since natural light streaming in from windows is more energizing than artificial light. Consider floor to ceiling windows and skylights. In addition to adding a vibrant look to your home gym, using as much natural light as possible is cost effective in the long run since using natural light won’t run up your electricity bill. For flooring, you can go with classic hardwood, or a greener option like recycled rubber. When you have your fitness room at home, you’re not restricted to the hours set by the owners. If you want to work out at 6am or 2am, it’s all there waiting for you! With the busy schedules so many of us have these days, working out at home saves countless hours of driving time, not to mention waiting in line for that one piece of equipment you, and everyone else seems to love. Also, having a fitness or yoga studio at home can encourage the entire family to get healthy, setting a positive example for the kids. For decades, Westbridge Homes has been building and remodeling nice homes for nice people. If this is something that interests you, let us know. We may be able to help create the personal fitness room you’ve always wanted. Westbridge Homes, a Myrtle Beach based home builder, is known for their custom & luxury homes. But what you may not have realized about Westbridge is they also renovate homes throughout the Grand Strand. In uncertain times, many homeowners are choosing to remodel and make additions to their current home rather than move up in size, as they might have in years prior. Westbridge’s Renovation team is experienced and ready to take on any project large or small. A recent article in the Myrtle Beach Sun News highlights the growing trend of remodeling homes instead of buying a new home. Westbridge’s own Fred Coyne, who is the co-chairman of the Horry Georgetown Home Builders Association, was interviewed for this piece. While price is certainly important, it’s equally important to make sure the firm doing the work is properly licensed, insured and bonded. Myrtle Beach has seen an influx of cheap labor after the recent housing boom has turned into a bust. This has left many laborers and contractors with very few new homes to build. Just because a crew has the tools and the time, they may not have the skills needed to properly remodel a home. Westbridge has decades of experience in remodeling Myrtle Beach homes, so contact us today to learn more about how we can turn your house into a luxury home on a reasonable budget. The American home has seen its fair share of transformations over the years. What’s hot. What’s not. We’ve seen it all. Whatever the current building trends are, the kitchen remains a major hub for families. Not just as a place to prepare food & eat it. It’s an after-school homework station. A place to ‘check-in’, check messages & prepare for outings. The kitchen has become an extension of the Great Room, or Living Room, of our home. So how can we transform the kitchen into your home’s center-of-attention? We live in customized, personalized world now. Love having your favorite ipod playlist at-hand while preparing dinner? We’ll make sure there are plenty of outlets, easily accessible to you. Including digital docking stations for your favorite media player is also an option ~ one the kids will love, too! A well-designed service/prep island can turn a kitchen into an entertainment center, and more. We love having guests over for dinner. But while preparing food, our guests can often feel “in the way”. A kitchen island gives them a place to hang, socialize & enjoy hors d’oeuvres. All-the-while you are free to prepare the meal while hosting your guests. Take a look at this custom design/build project ~ the detail on the kitchen island is an example of our first-rate craftsmanship at work! Folks who do a lot of entertaining will love a second sink, dedicated to prepping. Warming drawers are also a popular option. These help keep food just right & at-the-ready while main course dishes are finishing up. Motion-activated lights above the sink & prep surfaces help you work efficiently. They also save energy (and $) by turning off when not in use. These are just a few ideas to get you started. Whether you’re thinking of remodeling, or starting a new home building project, Westbridge Homes is ready to guide you. We have over 20 years experience custom designing, building & remodeling homes on the Grand Strand. Are you ready to discover what we can do for you? Contact us today!